From strawberries to leafy greens, vertical farming has made headlines all across the MEA Region. 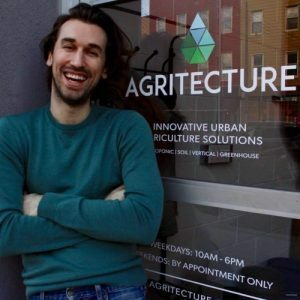 Team AgraME caught up with Henry Gordon-Smith, Founder and Managing Director of Agritecture, as well as an acknowledged global thought leader in urban agriculture to discuss vertical farms, the Middle East and Africa, Entrepreneurship and everything in between. Henry will speak at the AgraME Conference 2019 on Food Security Through Entrepreneurship: Pathways towards agriculture independence in the GCC. Agritecture will share the tradeoffs between various agriculture methods in the region and a long-term strategy to transform the landscape of agriculture and its impacts in the GCC region. AgraME: What inspired you to take up vertical farming? How long have you been in the business? Henry: I think that we live in a defining moment in human history. We are currently on an unsustainable trajectory, that if continued unchecked, will lead to devastation. But we also have the unprecedented ability to reshape the critical infrastructure that supports modern human life as we know it. Nowhere is this more important and true than the nexus of food, water, and energy. And for me, vertical farming is perhaps the best representation of this nexus. So, I started my company Agritecture back in 2014 to help the industry grow by providing expert guidance on planning and launching urban agriculture projects. However, that actually grew out of the blog I started in 2011 as a platform to showcase the present and future urban agriculture industry. The blog continues to this day as part of Agritecture. AgraME: What is your favourite aspect of vertical farming? Henry: My favourite aspect of the vertical farming industry is the variety of solutions that have been and continue to be invented to solve the issues surrounding our food system. Agriculture is very context specific, meaning what works best for one location will almost certainly not be the same thing that works best for another, and I believe that the diversity of approaches that define this industry is exactly what we need to successfully tackle these problems globally. Above all, I am inspired by the entrepreneurship of this industry: for the first time in decades, we have young people excited about farming again! AgraME: You are working on a project in Saudi Arabia. Can you give us more information on that, please? Henry: The MENA region is a prime location for controlled environment agriculture to successfully take off. Due to the significant environmental and water challenges, traditional agriculture has historically suffered, leading to a very high percentage of food imports. But with the recent innovations in CEA, the opportunity now exists for the region to become a global leader for the industry. This is why we’ve partnered with a Saudi-based mission-driven company to support this nascent industry and supply entrepreneurs with the information and resources needed to develop their own urban farming solutions that are tailored to the region’s unique conditions. Stay tuned for more information as we publicly launch this new partnership. I will be formally announcing the program (open to all GCC countries) at the AgraME conference! AgraME: What is the impact of vertical farming on countries in the Middle East and North Africa? What are the barriers that might stand in the way? Henry: The potential is certainly there to transform what has historically been a relatively small traditional farming industry into perhaps the most technologically advanced agriculture industry in the world. This means economic development, increased production of nutritious local produce, and lowered food costs, all with minimal water consumption and increased resilience to climate change and foreign markets. As your question implies, some barriers do exist, however. These include the region’s humid and hot climate, as well as limited regional knowledge and skills around these new farming techniques. So, while we think it’s great that companies are coming in from abroad to spur on this new industry, Agritecture would like to use our experience and expertise to help generate more localized knowledge and farming skills, leading to solutions that are uniquely tailored to the region by companies who are of the region. Overall, I think a thorough plan with all methods as “tools in the toolbox” needs to be formed. I don’t see that from the region yet and I want to help make it happen. AgraME: How much food can the different types of vertical farms produce? How much difference can be made with vertical farms to the overall food growth in the region? Henry: It’s no secret that controlled environmental farming is not about to feed the world alone. But it can, however, significantly contribute to a region’s supply of fresh vegetables, fruit, and even protein. Just look at the Netherlands – they’re the world’s second largest exporter in the agricultural sector after the U.S., yet they rank 131st in the world in terms of total land area. By capitalizing on vertical space, and controlling the environment for year-round optimal growth, controlled environment agriculture produces significantly more yields per square foot than traditional agriculture, while using only a fraction of the water. The limit to what we can grow using these farming techniques in the region is an unknown, but what is certain is that we are extremely far from reaching that point. 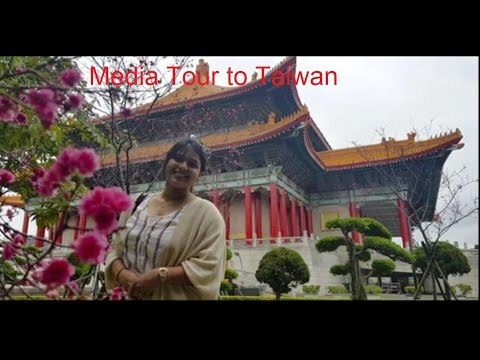 AgraME: How do exhibitions and conferences like AgraME help? Henry: Knowledge is the most powerful tool in the farming world. The reason conferences like AgraME are so important is that they bring people together from all over the world to create new connections and facilitate knowledge sharing. This is how partnerships form and innovation occurs. AgraME: What do you hope that AgraME visitors will take away from your discussions at AgraME Conference? Henry: I want the audience to truly understand how different forms of urban agriculture differ from each other and be empowered to plan responsibly whether they are a city, government agency, entrepreneur, or large corporation. I also want to inspire young people to take on the challenge of food security in MENA and think my story may inspire them. Henry Gordon-Smith is an acknowledged global thought leader in urban agriculture. Henry’s breadth of experience ranges across the spectrum of the sector; from vertical farms and commercial greenhouses to soil-based farms and architectural design amenities. In 2011, Henry started Agritecture.com, a leading media platform covering the news, business, and design of how agriculture integrates with the built environment. Whatever project Henry is working on, his primary motivations are the triple-bottom line: people, planet, profit.